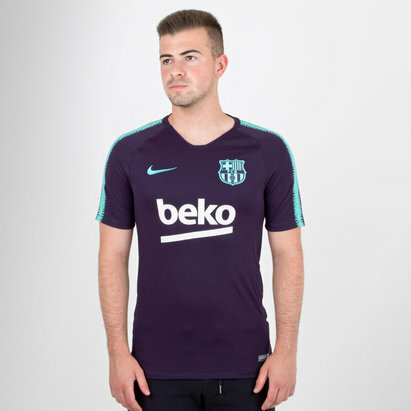 Make sure you're fully prepared for training or to hit the streets by wearing this Nike FC Barcelona 18/19 Dry Swoosh Football T-Shirt in Deep Royal Blue. 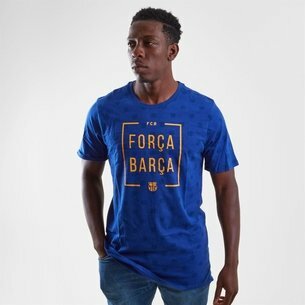 Coming in a lightweight design this FC Barcelona t-shirt is the perfect way to show off your pride for the Catalan side no matter where you are. The heathered Nike Dry fabric will keep you cool and comfortable while the bold design will be a sure way to make you stand out. 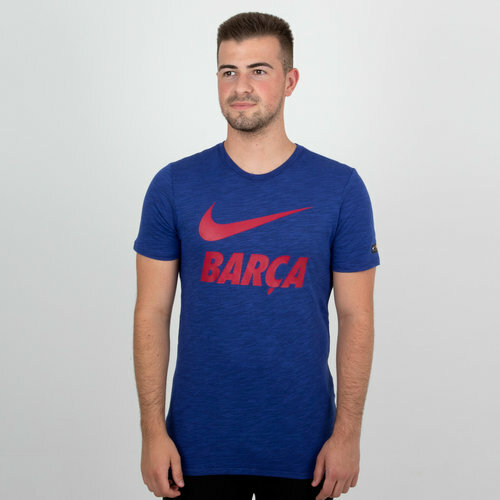 Show where your allegiance lies as the t-shirt has a bold, large graphic containing the Nike Swoosh and the word 'Barca'.